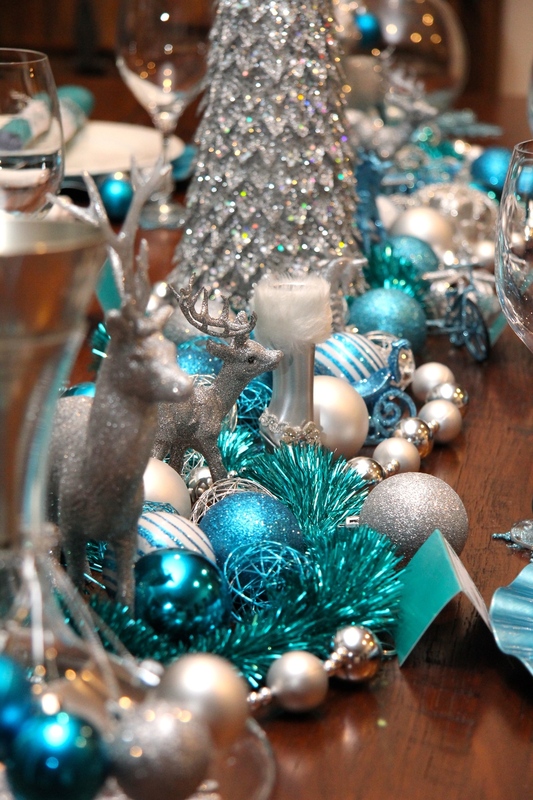 With so many choices, deciding how to style your Christmas Table can be quite daunting. Normally I've used traditional colours of Red, Gold and Green. This year however I've decided to adopt a more modern crisp blue and silver palate. I hope you will agree that this combination "just works" and I hope it will offer some cooling relief for what is often a hot Melbourne Christmas. To celebrate the occasion, we've created a range of printable products for the table which will soon be available in our shop. Home made Christmas Crackers are always a hit. We have posted a tutorial detailing just how easy it is to make your own Christmas Crackers. I just love the bauble wine glass arrangements. we've used acrylic paint to personalise the baubles for each guest. Starting with the colour palate, we've added lot's of different shapes and textures to the dinning table centrepiece. Use hanging snow flakes as wine glass and decanter coasters. Decorate a Candle holder with star decorations to transform it for a christmas. 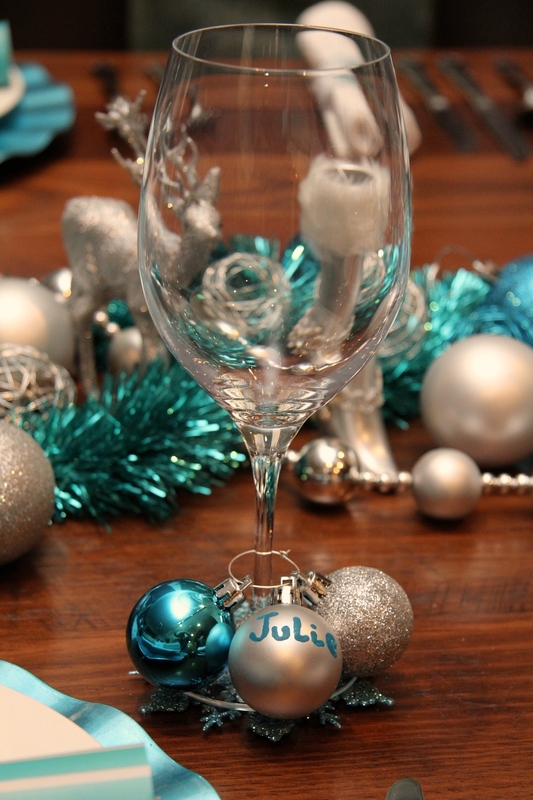 Christmas Wine Glass with personalised bauble. It was a real joy to style this years Christmas table, I'm now really looking forward to Christmas Day. Myer - Assorted Christmas decorations including silver tree, large deers, large baubles garlands and smaller table decorations.